Isler’s work falls naturally into two sections. The first section (chapters 1-5) deals with early Egyptian history and the evolution of the pyramid form up to the building of the Great Pyramid of Khufu (referred to throughout by his more old-fashioned classical name Cheops). The constant underlying theme is that monumental architecture started in Mesopotamia and travelled, more or less intact, to Egypt where it slowly developed its own characteristics. Lacking archaeological proof for his theories, Isler employs a wide range of archaeological parallels to support his case. Too wide and too superficial in some cases - his habit of leaping from time and place might be confusing to readers with a shaky grasp of world archaeology and chronology. But provocative statements such as ‘...when people worship a god with a human face, it is usually made in their own image’, part of a discussion of the bearded (and heavily reconstructed) statues of Min recovered from Koptos, certainly give the reader plenty to think about. This section has an excellent and comprehensive range of illustrations The second part of the book considers the technicalities of building in stone. It is here that Isler really comes into his own, drawing on his own experiences to take a new look at old assumptions. Successive chapters deal with the use of the gnomon (a pole used to cast and measure a shadow), orientation, site preparation and pyramid construction including a detailed discussion of ramp technology. Not everyone will agree with all of Isler’s conclusions, but he argues his case with authority and great gusto and he opens the mind to possibilities which might otherwise have been overlooked. The range of line-drawings and original photographs in this section is again exceptional. 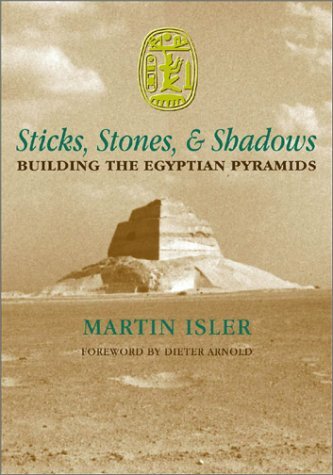 This book is perhaps not suitable as an introduction to pyramid building. Firsttime readers should probably start with the introductory works by Edwards, Lehner or Verner. But for those already familiar with the chronology and technologies of the pyramid age, this book makes an interesting, occasionally provocative, read. As a post script, I was intrigued by the revelation, in the acknowledgements, that Gerald E. Kadish, past editor of the Journal of the American Research Center in Cairo (JARCE) asked to spend a weekend at Isler’s home before he would agree to publish Isler’s first paper on pyramid research. The not totally unreasonable explanation is that Kadish needed to decide whether or not Isler was a ‘pyramidiot’ (his word, not mine) before publicising his work. I wonder if this is common practice in the Egyptological world? If so, should I be expecting the editor of Ancient Egypt to arrive with her luggage sometime today? 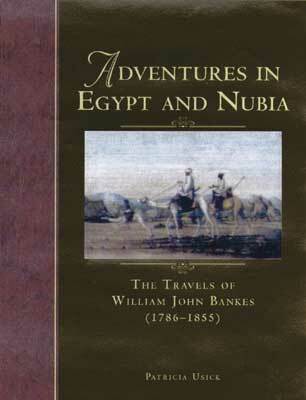 Nineteenth century Egypt was ‘a magnet for adventurous travellers and travelling adventurers,’ explains Patricia Usick in her new book about William John Bankes. Bankes travelled extensively in Egypt, Nubia and the Near East between 1815 and 1819, where, accompanied by a band of exotic fellow artist-travellers, he accumulated over 2000 sketches, watercolours and notes on the ancient monuments there. Today, most of these are housed within the British Museum. The author of this book has made a detailed study of them for her PhD thesis. A close friend of Lord Byron and a member of one of England’s most distinguished families of the day, Bankes made two trips down the Nile. At Thebes he was temporarily blinded by an attack of ophthalmia. He was also threatened by a knife by a Nubian and was forced to roast locusts by the riverside when he became hungry. Elsewhere on his travels, his camels were stolen; he was attacked with a sword by the Dead Sea and almost died of fever at Jaffa. Meanwhile, he became one of the first Europeans to visit the rose city of Petra in what is today’s Jordan. However, the risks paid off as ‘Bankes’ portfolio was perhaps the first serious attempt to make a comprehensive and accurate survey of ancient sites since the appearance of the massive Description de l’Egypte,’ writes Usick. Bankes visited Karnak, Philae and Abu Simbel as well as other ancient ruins. Many of the temples he recorded have now ceased to exist in Egypt, having been destroyed or relocated to the US and Europe following construction of the High Dam at Aswan in the 1960’s. This makes his work even more important today. After his return to England, Bankes was later involved in two homosexual scandals which forced him into exile to live the rest of his life mainly in Italy. From there, he collected art treasures for and renovated his family seat in Dorset, Kingston Lacey House, which today belongs to the National Trust. He died in 1855 aged 69 years. Apart from the drawings and paintings, the legacy of Bankes’ travels in Egypt and Nubia is his fine collection of Egyptian antiquities which are today on show at Kingston Lacey. These include a Ptolemaic obelisk from Philae Temple which stands in the grounds. Unveiled by the Duke of Wellington (a family friend), this obelisk earned Bankes a footnote in history when he became the first person to correctly decipher the name of ‘Cleopatra’ from an inscription upon it. Bankes never wrote his memoirs and the author says that this book is an attempt to remedy that loss. Adventures in Egypt and Nubia certainly captures the excitement of travelling in Egypt at a time which it was still relatively unexplored. Archaeology in Cairo (1970-1990), created under the direction of the late Serge Sauneron. A scholarly, but more popularly available work for readers of English is the title under consideration here. Travellers in Egypt is certainly one that is not to be missed by those interested in the exploits and influences exerted by some of the pioneer wayfarers to Egypt. 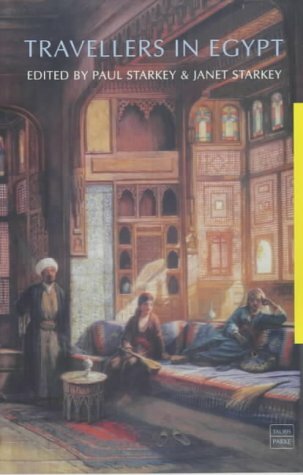 The book consists of a collection of twenty-eight essays which were presented at a conference on Travellers to Egypt held in Durham in July 1995. It was first published in 1998 as a hardback, but is now available as a reasonably priced paperback edition. The articles, which concentrate on the nineteenth century, are grouped together under a range of headings: ‘Early Travellers’, ‘Egyptological Travellers’, ‘Women in Egypt’, ‘Artists and Photographers’, ‘Literary Interaction: Egyptian Influence on European Literature’, ‘E. W. Lane and Scholarly Perceptions’, and ‘European Influences on Egypt’. The contributions cover the famed, to the forgotten and obscure. This well-produced and informative work, although regretfully without a single illustration, ought to appeal to anyone who loves reading about distant rambles in Egypt. Editors: Paul Starkey and Janet Starkey.